Visit King Hassan II Mosque, the largest in Morocco. 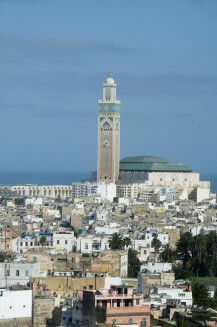 Open to non-Muslims, it has the world's tallest minaret and memerising water features. 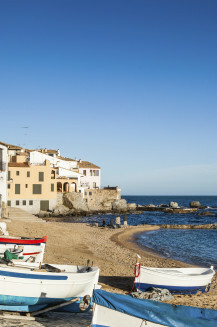 Experience the beautiful country of Morocco and visit the city of cuture, Casabalanca. The colours, sights and sounds of Morocco will make your senses explode. 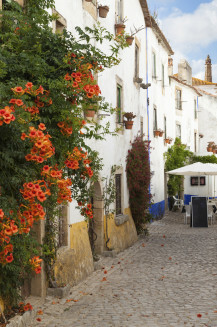 Walk above the snowline of magnificent mountains, admire Moorish architecture, meander through the mazes of medinas (old walled towns) before bartering in the colourful stalls. 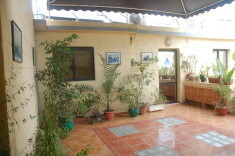 Then relax with a mint tea and a steam bath. Morocco offers a colourful combination of ancient cities, unspoilt coasts and awe–inspiring rocky highlands. 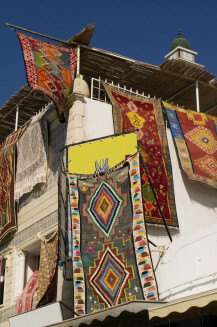 There are vibrant open-air markets selling rugs, leather goods, brassware and much more. 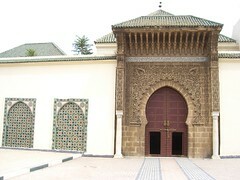 Rabat, the capital, dates from the 12th century. Fes is a city of crumbling grandeur and striking buildings. 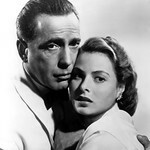 Casablanca is immortalised by Hollywood and is a lively seaside metropolis. 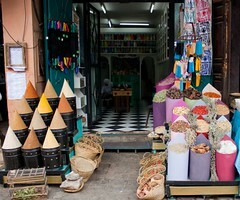 Marrakech is ribboned by intriguing alleyways and famed for its huge market square. It makes an atmospheric starting point for treks in the High Atlas Mountains nearby. From the port town of Laayoune in the Western Sahara to the northern splendour of Tanger, perched between the Mediterranean Sea and the Atlantic Ocean, Morocco is waiting to be discovered. Not like in the movies: Casablanca (and Place Mohammed Square) is a busy, noisy city of genuine curiosity. Shop, play and dine in the mega-complex that is Morocco Mall, which opened in 2011. The Rahba Kedima, or Spice Square as it’s known, is a market with an incredible range of local spices, handmade baskets, herbal remedies, cosmetics and even ingredients for magic spells and potions. 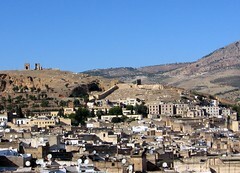 The Medina, or Old Town, of Fes is a fascinating and ancient area and UNESCO World Heritage Site. It’s a place full of astounding architecture from across time, winding streets, shops, fountains and the University of al-Karaouine, the oldest university in the world! Meknes is a walled city built in the Spanish-Moor style and was founded in the 11th Century. While the city itself is an attraction there are also many mosques, an old town and extensive gardens that make Meknes an unmissable stop on your journey. If you can't get enough of Game of Thrones then why not visit some of the show's real-life locations? Read our blog to find out where in the Seven Kingdoms you can actually travel to.